>> Badlands 2200 vs Eberlestock X2 – Which Hunting Pack ? While there are many hiking backpacks that are suitable to take with you hunting, you may prefer something more rugged. The Badlands 2200 and Eberlestock X2 are a couple of popular backpacks intended for hunters. They also double as great survival backpacks. Even though these packs are made by different companies, the similarities may make it hard to pick the best option. Before purchasing a hunting backpack, compare the Badlands 2200 to the Eberlestock X2. The Badlands 2200 is a hunting backpack made of KXO-32 fabric for improved durability. It is also available in neutral colors, to help you remain stealthy and blend with your environment. Molded foam is used in the suspension system to help add comfort and contour to the shape of your back. Other highlights include a built in hip belt pistol holder and a two liter hydration sleeve. The Eberlestock X2 is available in several colors, most of which feature a camouflage design. The X2 is constructed with NT7 waterproof fabric. While the fabric is waterproof, the construction is water resistant. This means it should withstand rain during your trip. However, if you drop it in water, your contents will eventually get wet. Comparing the Badlands 2200 and Eberlestock X2. The Badlands 2200 and the Eberlestock X2 include features that you should expect in a large hiking backpack. However, they are a little more durable than your typical hiking backpack. They also feature an incredibly strong main compartment for storing the meat that you get on your hunt. You should also have no problem storing your hunting gear, including a bow, a scope, and a rifle. They also include compression straps for a secure fit, along with multiple pockets for organizing your equipment. These are wonderful features to have in a hunting backpack. However, the best feature is probably the lifetime warranty. Both the Badlands 2200 and the Eberlestock X2 include a lifetime warranty so that you can get a replacement or repairs if your backpack gets damaged during one of your trips. The warranty is where the main similarities between these two backpacks end. The Badlands 2200 is slightly larger than the Eberlestock X2, with a total volume of 1980 cubic inches. The X2 has a volume of 1830 cubic inches and weighs four and a half pounds. As the Badlands 2200 has more space, it also weighs a little more, with a total weight of just under six pounds. Both backpacks are comfortable to wear. However, people that have used both hunting backpacks claim that the X2 provides a little more comfort, especially when wearing the pack for a long trip. Part of the reason for better comfort may be due to the improved ventilation. The Eberlestock X2 includes a back panel with advanced ventilation to keep your back from getting too sweaty. The Badlands 2200 and the Eberlestock X2 include a variety of pockets for storing your gear, but there are several differences. The X2 includes padded wing pockets that open on the side, which you may find more convenient for quickly grabbing your equipment. You also get an extra hydration sleeve with the Eberlestock X2. If you do not need two hydration sleeves, you may still enjoy the Badlands 2200, especially if you are only traveling for a single day. Final Thoughts – Which Hunting Backpack Should You Get? 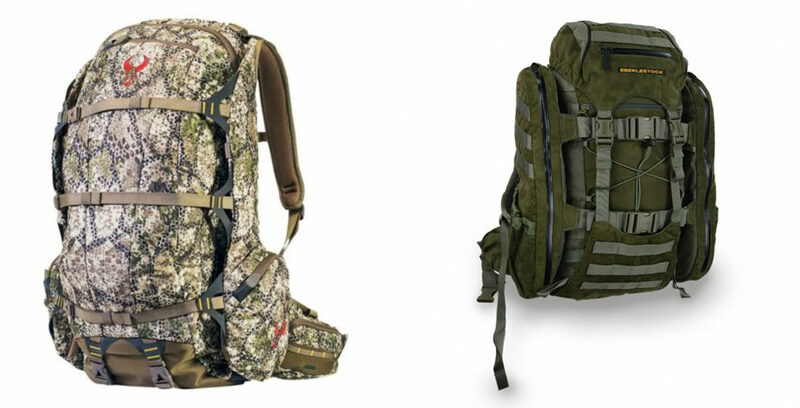 These are the two most popular hunting backpacks. There are plenty of people that will tell you that either option is your best choice. This means that you cannot go wrong with either bag. However, there are some details to consider. The Badlands 2200 is slightly bigger, providing more space and weighing a little more. If you need the extra room, this may be the right choice. However, many people believe that the X2 is the more comfortable hunting backpack, thanks to the ventilation of the back panel. The Eberlestock X2 also includes an extra hydration sleeve and padded wing pockets. After reviewing these details, you may still have trouble choosing between the Badlands 2200 and the Eberlestock X2. Comparing the cost of each hunting backpack may help you decide. Whichever bag you choose, you are going to get a high-quality backpack that is perfect for any hunting trip.